We’re all guilty of it at some point or another. You get down to that last little bit of soap in the bar and you toss it because its easier to open a new one, or you throw your lotion tube out with the last little glob in there, because its not a big deal…but those little things can all add up! These are 5 of my favorite ways to use the last little bits of something and turn into something awesome…everything from soap to pickle juice to markers! This might sound really weird, but trust me when I say its totally amazing-and really simple to make. When you’ve used the last of your pickles, save the juice. Use it to marinate boneless, skinless chicken breasts! Soak the chicken breasts in the pickle juice for about 1 hour. Take a half cup of mayonnaise, 1 tbsp mustard and 1 egg and blend together. Remove chicken from pickle juice. Dredge each breast into the mayo mixture and then coat with your favorite breading. We use Panko, or for a low carb alternative (for the LCHF fans in the house) simply pulverize french fried onions into a coarse breading. Bake at 400 degrees for 20-30 minutes until done (depends on the size of the chicken pieces). Sounds strange but it is downright yummy. We were eating it once a week for several months because its so good and SO easy to make! Turns out moist and juicy every time. Perfection! I know, I know. 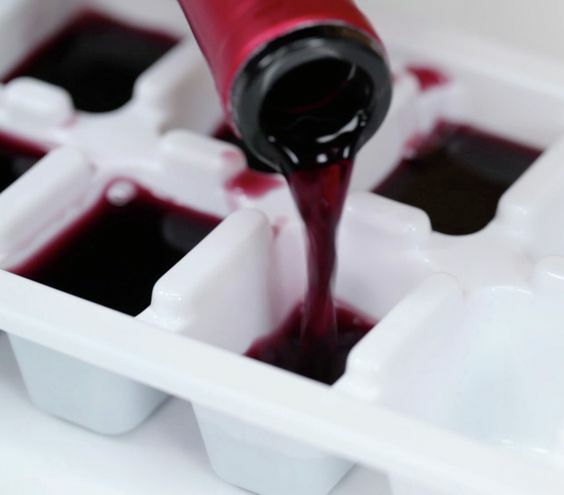 When I say “leftover wine” most of you will say “WHAT on earth is LEFTOVER wine?” and the rest of you will just fall down in fits of laughter, but on the off chance that some wine is left behind, you can freeze it to make wine cubes! Wine cubes can be used at a later time for cooking, flavoring dishes, or chilling another glass of wine without watering it down. Simply fill an ice cube tray and freeze, then pop them out and put them into a marked zipper freezer bag for later use. This one’s an old trick, but its very easy. When your lipstick is down to the little plastic part, take a bobby pin or paper clip and scoop out the last little bit (there’s actually a lot in there sometimes) You can (carefully) melt it down as is, or stretch it further by melting it down and mixing with a small dab of coconut oil. This will give you a more sheer tint of your favorite lipstick. You can put this into an empty gloss pot, available at most craft and beauty supply stores or better yet, re-use one that you already have. This is perfect for fixing a lipstick that is too bright, heavy or matte as well! If you’re making chicken or beef stock, you use the vegetables for flavor, then remove them at the end of the cooking (because they turn to mush). When you turn the stock into soup, you can add nicely diced vegetables later, but for the actual flavor you don’t have to use “pretty” pieces of veggies. In fact, some of the best flavor and nutrients come from the skins of thoroughly washed vegetables. The next time you chop veggies, toss the peels and inedible pieces into a freezer bag. Things like the celery “stump”, carrot peelings or onion skin might not be on your list of things to eat, but these don’t have to go to waste as they add great flavor to your broth! In fact, onion skins actually add a beautiful golden color to your broths, as well as flavor. Don’t “waste” good vegetables for simply flavoring broth…and don’t let the leftover bits go to waste. 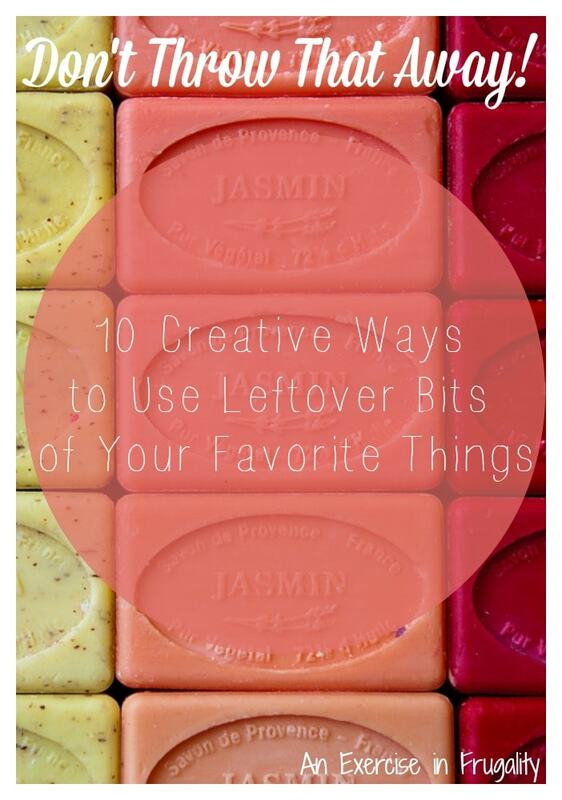 These are some great tips for using little bits that would otherwise go to waste. Tips like these were popular back in the leaner days of the Great Depression, but they are just as relevant now as they were back then. Stay tuned for more of these money-saving tips, I have another 5 awesome tips for you coming soon in Part 2! What’s your favorite way to use leftover bits? Hi! You can also do ice cubes of lemon, when you don’t use it all, you’ll have fresh lemon water every timer you need! 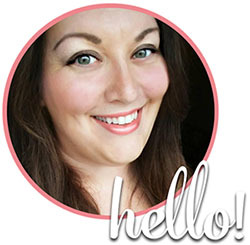 Thanx for posting this article Rose! !